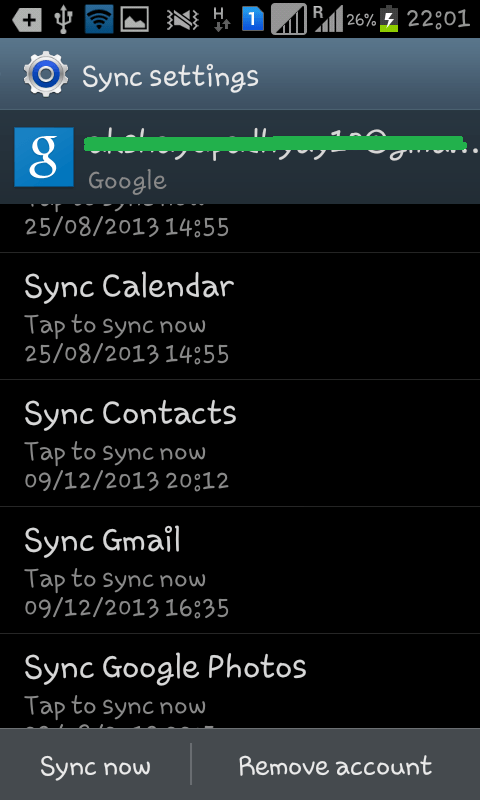 Synchronize Android contact with Gmail contact uploaded. If you recently purchased a newly Android mobile, then the first step you want to process, is to import the contacts of your previous mobile to your newly purchased Android OS(operating system) based mobile. 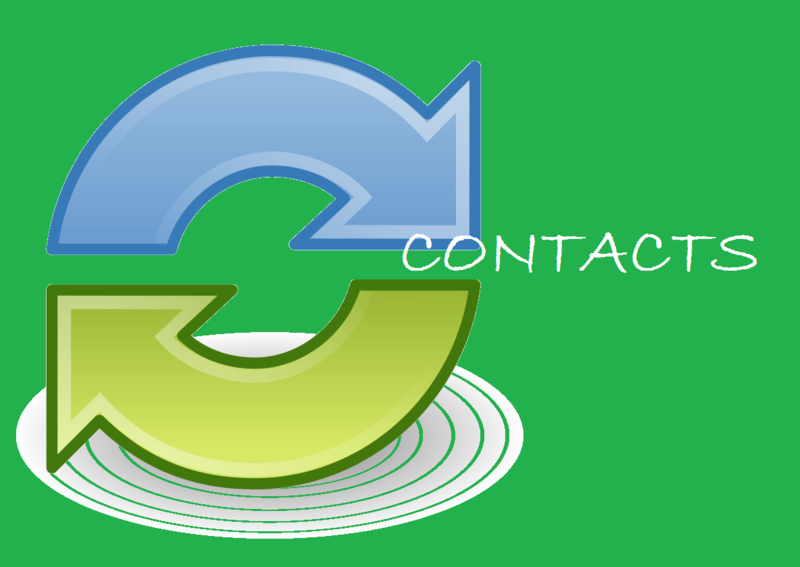 Google provides direct way to synchronize contacts with your Android with other mobile. Obviously you need internet access, in your computer or laptop to upload contact to Google account, and also internet in your android mobile for synchronizing Google contacts. If you are having internet access in only one device i.e either in your laptop or mobile, then try to connect internet from android to computer via USB or Via Wifi or connect internet from computer to android phone. If you are replacing a Nokia mobile, then you can also try this technique to transfer contact from Nokia to android mobile or else, first try to copy contact of your mobile to computer folder(Contacts are saved as .vcards file). 1.) 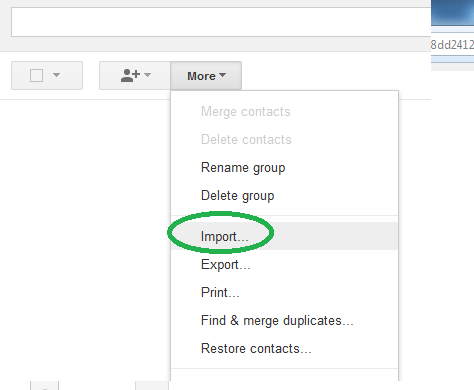 Upload contacts to google mail account. 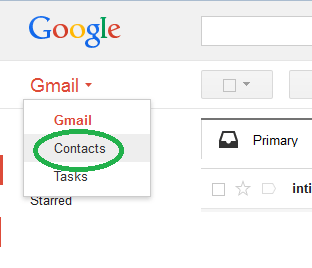 Sign in your Google mail (Gmail) account, select Gmail Label appearing on upper right of your account, and choose Contacts from drop down list. In the more+ button, as shown below, select import, and browse the csv file or VCF or .vcards file. Load the file and merge the contacts. This will also make a back up of contacts in your mail. 2.) Synchronize Google contacts in your mobile. Go to Menu – > setting in your mobile. 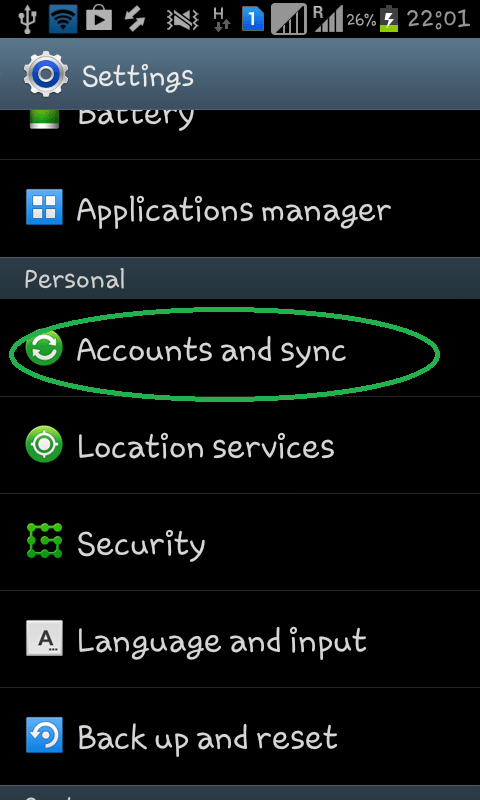 Then select Accounts and Sync -> Google account. Let it Synchronize. This will take time depending upon data and speed. Comment below if you are facing any problem for the same.